Talk to one of our experts to find the right course of action for you. We identify ourselves with our clients’ requirements and work with our clients to help them achieve their goals. If you have been involved in a personal injury in recent times you should asses to see if you have a case for compensation. Why not speak to your local solicitor about your case. Do you feel a recent medical procedure went the wrong way or that you are left worse off than before. Let one of our specialists call you back to discuss further in confidence. Solicitors with over 40 years experience. Est in1978. Brian Morton & Co. has been providing outstanding legal services since its establishment in 1978 at Firhouse Inns Chamber Tallaght, Co. Dublin.  We are members of the Law Society of Ireland and the Dublin Solicitors Bar Association.  Our firm comprises Solicitors, Lawyers, Legal Experts, Advocates, Attorneys, Commissioners for Oaths, Land Agents, Conveyance Solicitors, Litigators, Mediators, Negotiators and Defenders. Talk to one of our solicitors about your case. Brian Morton & Co. serving the community since 1978.